Indie rockers Mates of State play a show Sunday night. MEOW: Happy year of the Tiger! Come down to Chinatown (and some of Little Italy) as the 11th Annual Lunar New Year Parade and Festival fills the streets with dragon dancers, stilt-walkers, ribbon twirling and, of course, tigers galore. 11AM-4PM. 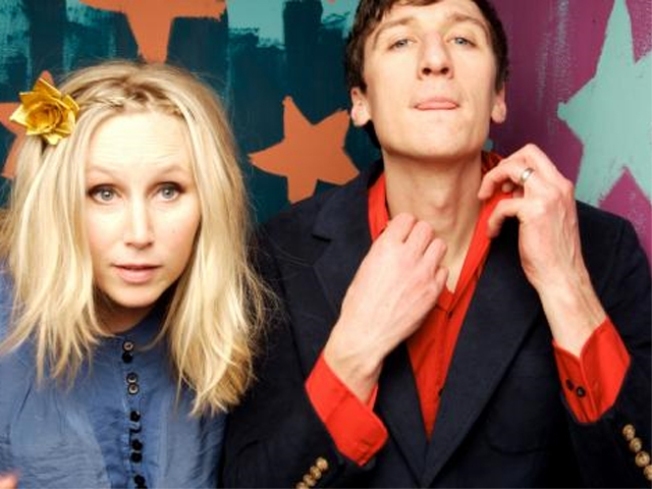 MATING CALL: Hubs-and-wife indie rock outfit Kori Gardner and Jason Hammel – a.k.a. Mates of State -- may tour with their two kids and a nanny these days, but they’re still ripping up the stage with the trademark wall of sound vibe that got them noticed in the late ’90s. They play Bell House on Sunday, 7:30PM. GOOD CAUSE: Actor/comedian Kevin Hart (“40 Year Old Virgin”) has gathered a lineup of funnymen (Tony Rock, Wil Sylvince) and special guests for a night of comedy at the Westbury Theatre to benefit Haitian charity Edeyo, whose new 200-student school was destroyed in the recent earthquake. Saturday, 8PM. PASTA 101: When someone says they make their own pasta, our eyes glaze over thinking about all the specialized equipment and painstaking work required for the task. Then, inevitably, we have a bite and think, damn, we need to learn to make our own pasta. At Broadway Panhandler on 8th Street, join a free class and get schooled by pasta expert Gianni Savoca in everything from mixing dough to cutting the sheets and making the sauce. Plus: Samples! 3PM.